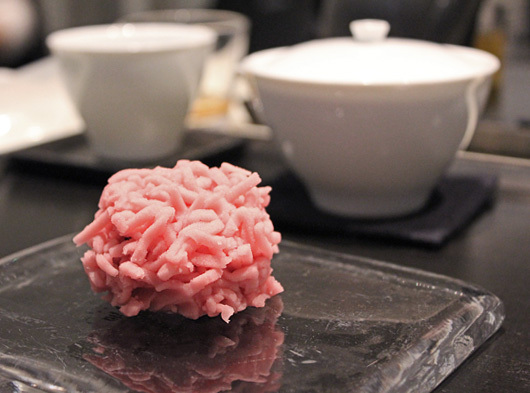 Remember that sweets shop I promised to blog about a couple of weeks ago? Well this is it. 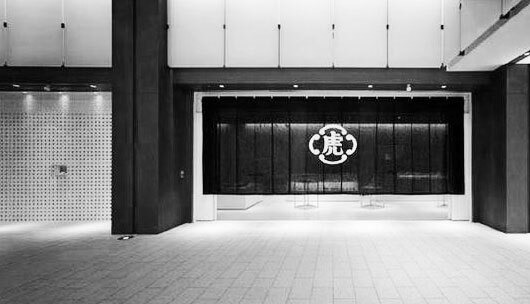 Finally, I get to share with you this wonderful shop, that our friends Miyamoto and Waka took us to when we were in Tokyo. This place is truly unique, and for all you soon to be Tokyo travellers – definitely worth a visit! It rates very high on my oooooo & aaahhhhh meter and even though I was able to take these photographs to share with you, they really don’t do this place justice. So if you’re in Tokyo, make sure you see it for real! 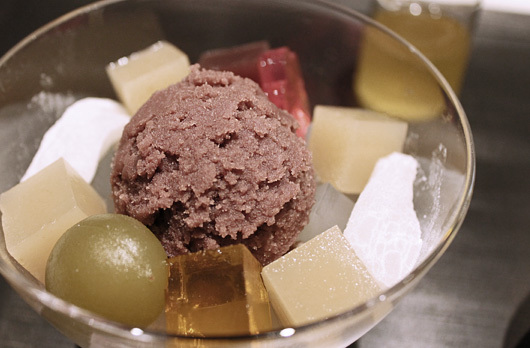 Toraya, first established in Kyoto, is one of the oldest makers of traditional Japanese confectionery. 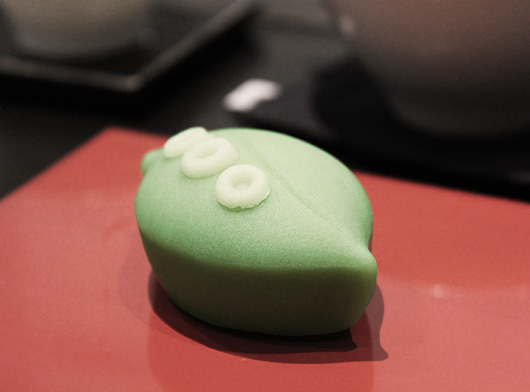 They specialise in the art of Wagashi, and for hundreds of years they have been making these tiny works of edible art, still using traditional methods dating back to the 16th century. Toraya have quite a few shops in Tokyo, but the one we visited was in Tokyo Midtown at Roppongi. 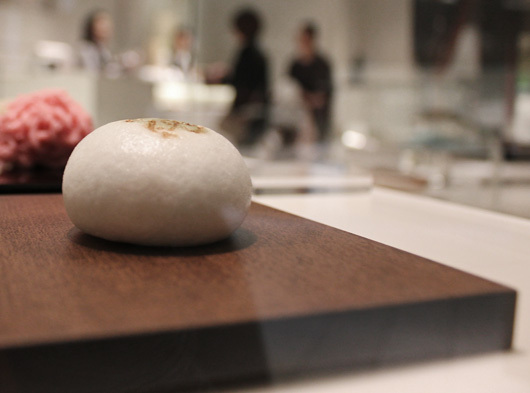 There is a beautiful shop there that looks more like a gallery space and next door to it you’ll find Toraya’s tearoom. Deciding what to order from the tearoom menu was rather difficult, but only because I wanted to sample a bit of everything. I finally chose my green tea and little pink sweetie (both pictured below) and then pulled out my camera (as all good tourists do) in anticipation of what was to come. And as one would expect, it was pretty special. 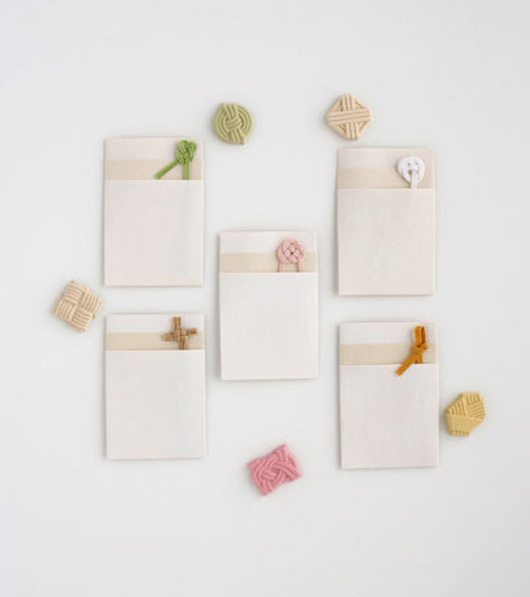 Next to the tearoom is the Toraya shop, and it’s filled with an amazing selection of packaged sweet gifts. 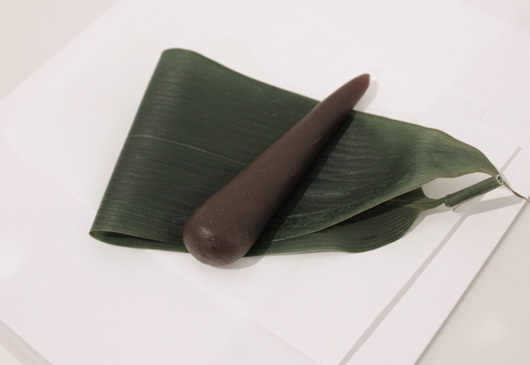 Just like ori HIGASHIYA, everything is packaged beautifully with folds in all the right places! Oh, and done by the experts of folding I might add. 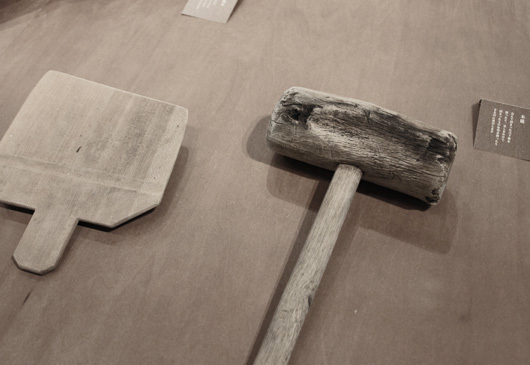 Remember the Origata Design Institute I blogged about? 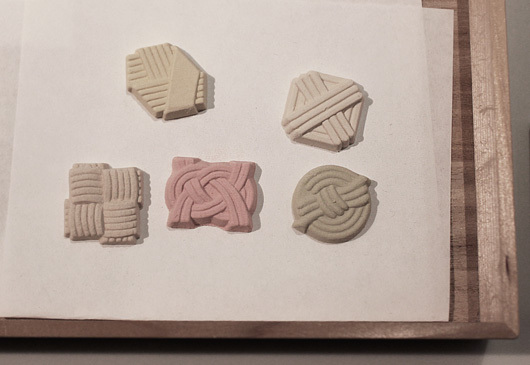 Below are some packages they designed especially for Toraya’s Higashi (dried sweets). 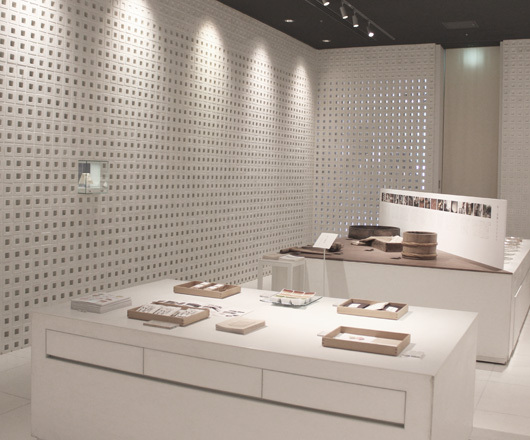 Inside the shop is a small gallery space where exhibitions are sometimes held. 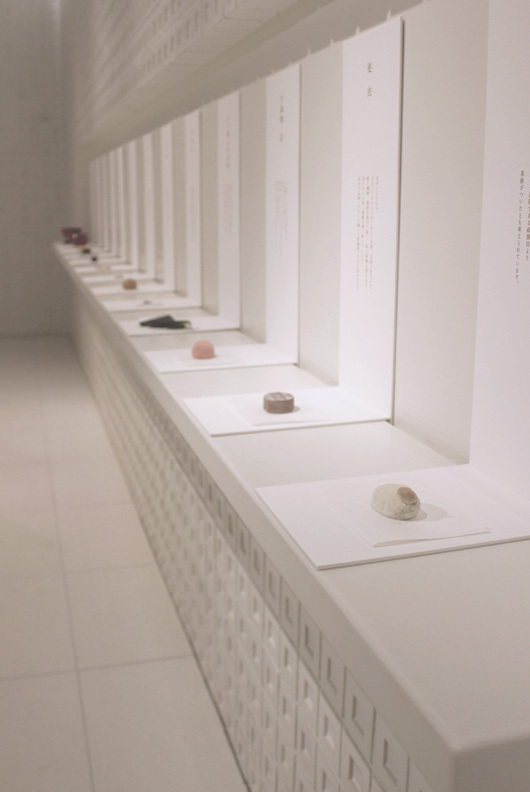 When we visited, there was an exhibition of Wasambonto – which is a type of Japanese sugar. It’s quite rare and only produced in certain areas of Tokushima and Kagawa. On dispay were traditional wooden tools used to process the sugar and a step-by-step guide on how to prepare wasambonto for using in sweets. It’s an incredibly labor-intensive process that includes 24 stages, and learning about it certainly gave me a better appreciation for the sweets on offer here. 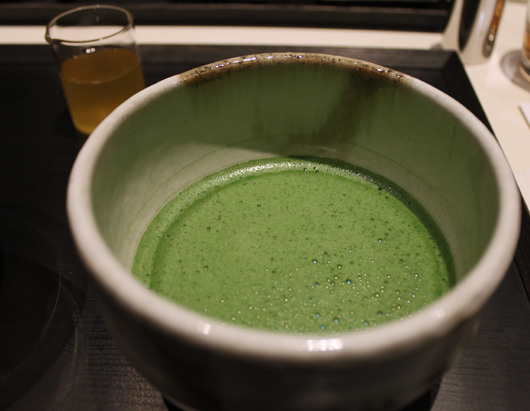 At Toraya, wasambonto is used in their Higashi sweets, and in their tearoom, I was lucky enough to try it as a syrup served in a shot glass to drizzle over servings of Kuzukiri. I’ve had so many emails from readers lately telling me they are going to Japan this year. So to all you guys, make sure to check this place out – it’s stunning!